(Barcelona 01/10/2013) - The Grid Computing and Clusters Team at Barcelona Supercomputing Center is proud to announce a new release, the first official, of the programming environment COMPSs. This version of COMPSs is the result of the work of the team in the last years on the provision of a set of tools that helps developers to program and execute their applications efficiently on distributed computational infrastructures such as clusters, grids and clouds. 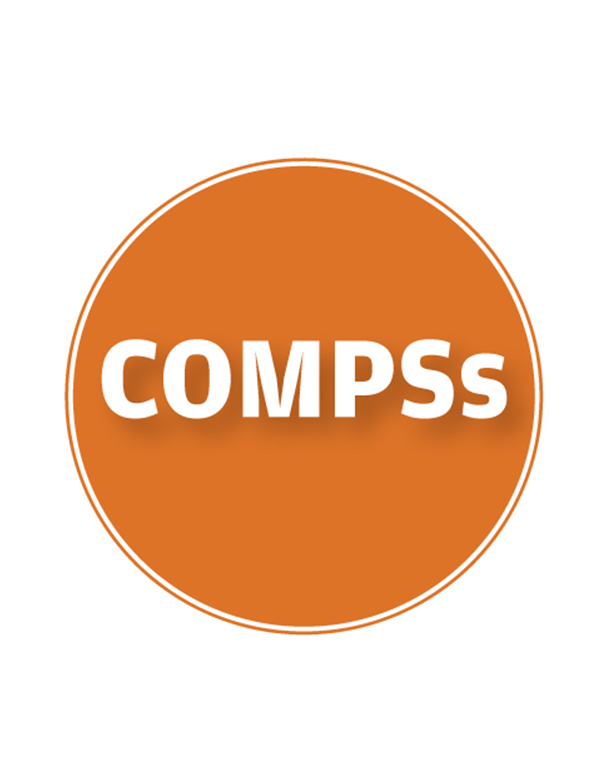 COMPSs has been available for the last years to the MareNostrum users and to the Spanish Supercomputing Network and has been adopted in several research projects such as OPTIMIS, VENUS-C, transPLANT, EUBrazilOpenBio and EGI. In these projects COMPSs has been applied to implement use cases provided by different communities across diverse disciplines as biomedicine, engineering, biodiversity, chemistry, astrophysics and earth sciences. COMPSs has had more than 500 downloads last year and is used by around 20 groups in real applications. COMPSs has recently attracted interest from areas such as genomics and biodiversity, where specific courses and dissemination actions have been performed. During last years, the team efforts have been focusing on the nowadays-emerging virtualization technologies, adopted by cloud environments. In such systems, COMPSs provides scalability and elasticity features by dynamically adapting the number of resources to the actual workload. The current release is interoperable with both public and private cloud providers like Amazon EC2, OpenNebula, BSC EMOTIVE Cloud and with OCCI compliant offerings. The packages and the complete list of features are available in the Downloads page. A virtual appliance is also available to test the functionalities of COMPSs through a step-by-step tutorial that guides the user to develop and execute a set of example applications. Additionally, a user guide and papers published in relevant conferences and journals are available. The Grid Computing and Clusters Team at Barcelona Supercomputing Center aims to offer tools and mechanisms that enable the sharing, selection, and aggregation of a wide variety of geographically distributed computational resources in a transparent way. The research done in this team is based in the former expertise of the group, and extending it towards the aspects of distributed computing that can benefit from this expertise. The team at BSC has a strong focus on programming models and resource management and scheduling in distributed computing environments.